Debbie Annette Feild, 66, went to be with the Lord on March 26, 2019. Deborah was born December 28, 1952, to parents Alton and Rose Bishop in Port Arthur, TX. 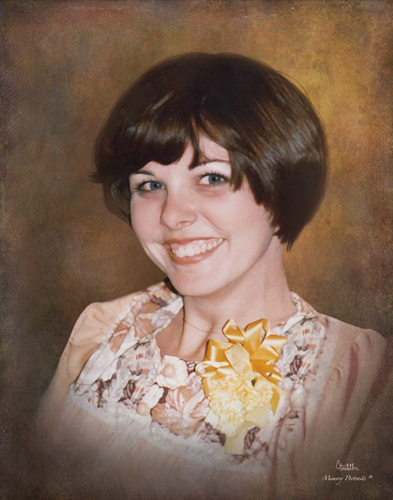 Deborah is preceded in death by her father, Alton Ray Bishop; nephew, Cory Stovall; aunt, Gertrude McGee. Left to cherish her memory is her son, Justin G. Feild (Alexandra); mother, Rose Merle Bishop; brothers, Gary Ray Bishop (Dee Anna), and Jerry Leonard Bishop; sister, Barbara Bishop Lawrence (Col. David); Three grandchildren, Paige Feild, Brooke, and Logan; numerous nieces and nephews. Visitation will be held at 10:00 a.m. -2:00 p.m. Saturday, March 30, 2019, at Charlie Marshall Funeral Home located in Aransas Pass, TX. Funeral Service will be held at 2:00 p.m. Saturday, March 30, 2019, at Charlie Marshall Funeral Home Located at 2003 W. Wheeler in Aransas Pass, TX. Christian Burial will follow at Rockport Cemetery in Rockport, TX.